Aer Lingus Regional has been awarded the tender to provide air services on the public service obligation (PSO) routes of Donegal-Dublin and Kerry-Dublin. The airline secured the routes following an EU public tender competition. 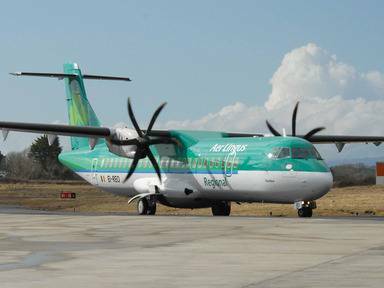 The two services will be operated by Stobart Air under the Aer Lingus Regional brand. Seán Brogan, chairman of Stobart Air, said the airline had put forward a very strong proposal for both routes. “At the heart of our offering is our connectivity with mainline Aer Lingus services, particularly to North America,” he said. “Passengers to and from North America will be able to connect seamlessly to both Donegal and Kerry. The passenger convenience and wider tourism benefits of this for both regions are considerable. “We also highlighted the importance of promoting the Wild Atlantic Way, a wonderful tourist attraction in Ireland. By using one provider with routes operating at each end of the tourist trail, we can leverage the opportunities to attract a wider tourism market. The new contracts on both routes will take effect from 1 February 2015 until 31 January 2017.